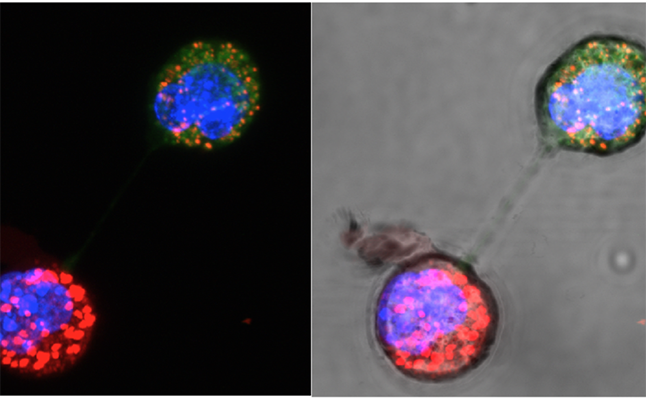 Dark field image (left) highlights the transfer of fluorescent mitochondria to breast cancer cells lacking mitochondrial DNA. Bright field (right) has sufficient light to see the connecting nanotube. Credit@MalaghanInstitute.